Thank you so much for helping me to purchase my short sale home during such trying economic times in Spanish Springs. You are a true professional. You are knowledgeable about the area and the market...you were readily available at all times. Thank you for your patience and understanding, you made everything possible and you made it happen without inconvenience. I would HIGHLY recommend you to anyone looking for the "BEST in the BUSINESS" to sell or purchase a home! You truly have the customer's best interest at heart from the moment you meet them until the job is done! Jo Ann S.
We can’t tell you how relieved we are that this experience is finally over! As said before, “we couldn’t have done it without you!” Your positive outlook and determination never faltered . . . just two of the many aspects that make you a GREAT team. Thank you again . . . for everything! There is no doubt in our minds that we would recommend Rosemary Loven to friends and family that were buying or selling a house. In this housing market nightmare, where most homes sold are foreclosures or short sales, Rosemary was able to sell our house, which was in neither category. She always had a positive approach and good suggestions, to make our house stand out. Rosemary and her husband go out of their way to make the process as easy as possible. George & Lisa L.
11-18-2014 "I have known Rosemary since high school, and know her to be a brilliant, hard-working, trust-worthy, detail-oriented professional, with myriad talents and interests, making her well-rounded and a great asset to a company, and a trusted and loyal friend and co-worker. " 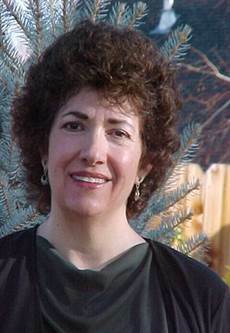 Suzanne L.